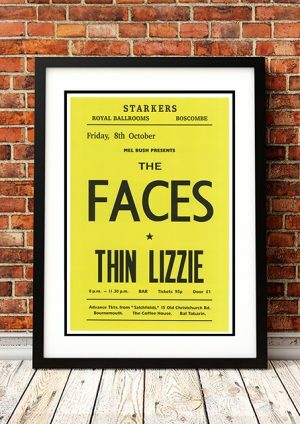 Classic Faces Band Concert Posters and Memorabilia! Buy Online Now! When Steve Marriott left the Small Faces in 1969, the three remaining members brought in guitarist Ron Wood and lead singer Rod Stewart to complete the lineup and changed their name to the Faces, which was only appropriate since the group now only slightly resembled the mod-pop group of the past. Instead, the Faces were a rough, sloppy rock & roll band, able to pound out a rocker like “Had Me a Real Good Time,” a blues ballad like “Tell Everyone,” or a folk number like “Richmond” all in one album. Stewart, already becoming a star in his own right, let himself go wild with the Faces, tearing through covers and originals with abandon. While his voice didn’t have the power of Stewart, bassist Ronnie Lane’s songs were equally as impressive and eclectic. Wood’s rhythm guitar had a warm, fat tone that was as influential and driving as Keith Richards’ style. 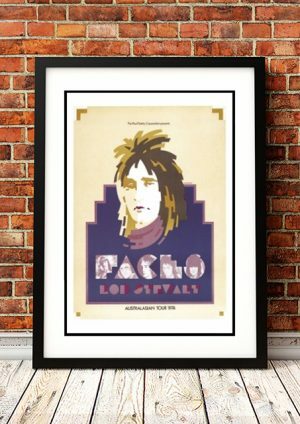 Notorious for their hard-partying, boozy tours and ragged concerts, the Faces lived the rock & roll lifestyle to the extreme. 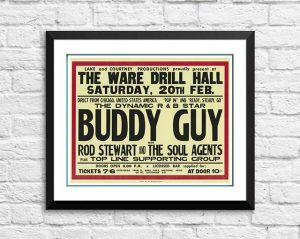 When Stewart’s solo career became more successful than the Faces, the band slowly became subservient to his personality; after their final studio album, Ooh La La, in 1973, Lane left the band. After a tour in 1974, the band called it quits. 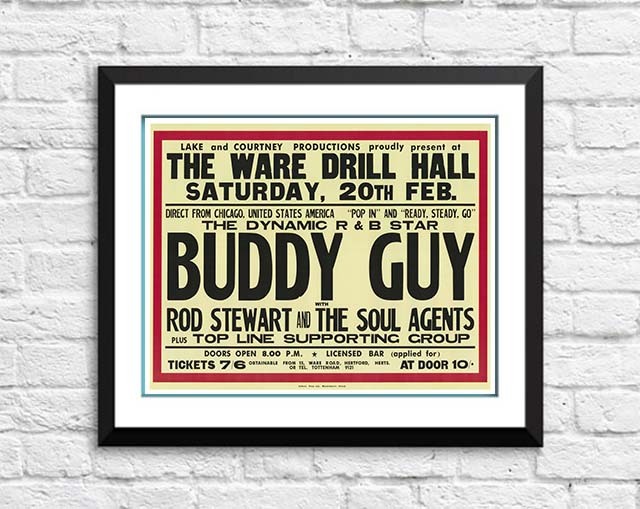 Wood joined the Rolling Stones, drummer Kenny Jones eventually became part of the Who, and keyboardist Ian McLagan became a sought-after supporting musician; Stewart became a superstar, although he never matched the simple charm of the Faces. 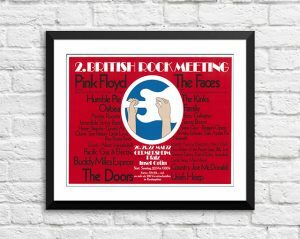 We stock some awesome Faces Band Concert Posters.